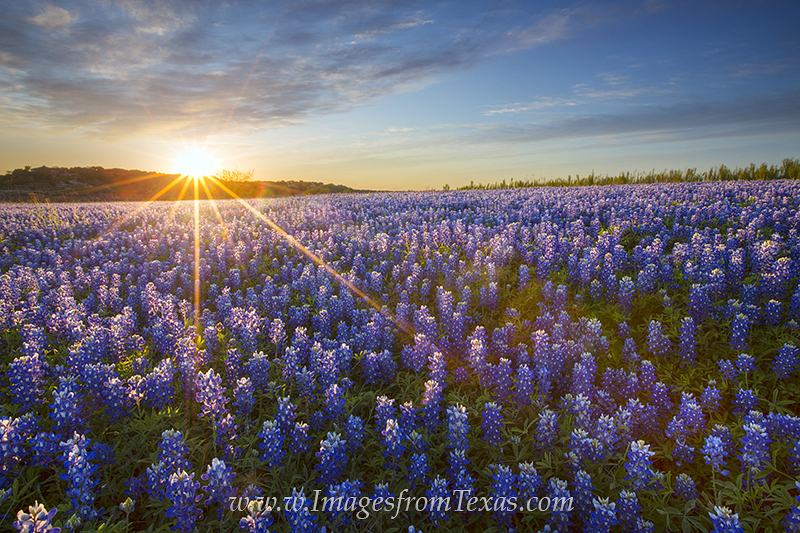 Looking back on a warm April evening, bluebonnets basked in the last sunlight of a beautiful April day. As far as this field stretched, these Texas wildflowers could be seen in abundance. Photo © copyright by Rob Greebon.